Alan Fildes Gallery: Giza Plateau. » Giza Plateau. » Prince Kawab. Alan Fildes Gallery » Giza Plateau. » Giza Plateau. » Prince Kawab. G7110-7120, Kawab Vizier, King\'s eldest son of his body, Hereditary prince, Chief lector-priest. 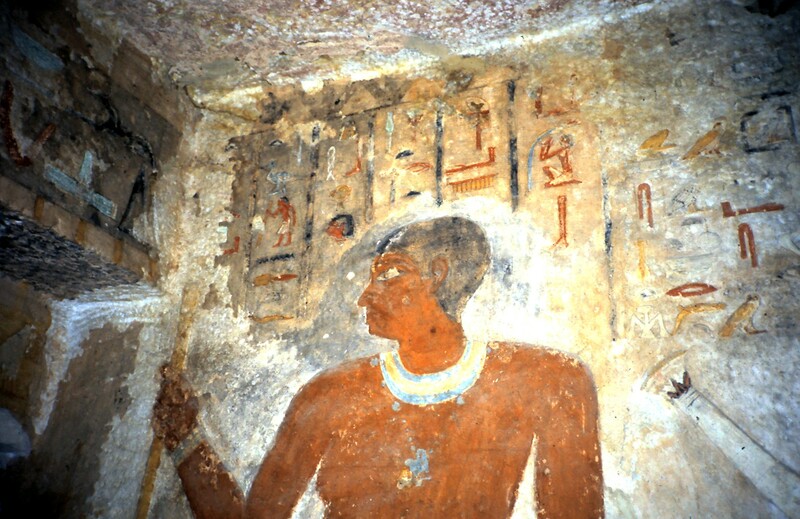 The eldest son of Khufu here seen in G7530-7540 the tomb of his daughter Queen Meresankh III. February 1984.